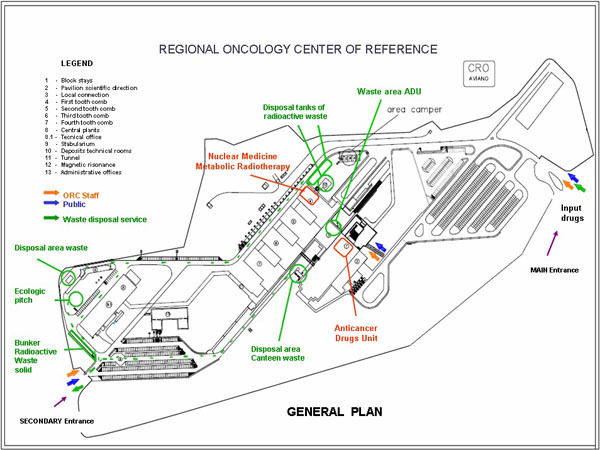 The Oncology Reference Center (ORC) of Aviano (Italy) organization principles are based on the criteria of effectiveness efficiency and cost-effectiveness in compliance to clinical autonomy leading to the continuous improvement of services provided and the research activities in order to ensure maximum level of safety for patients and operators. Within these values the adoption of environmental sustainable management voluntary systems such as ISO 14000 and EMAS has been evaluated and proposed. To this note the Initial Environmental Analysis (IEA) is presented allowing basic targets for improvement and implementation of environmental management programs as well as highlighting the effectiveness of the adoption of sustainable management of voluntary EMAS instrument. Phases to define and evaluate the environmental factors were analysed and the relationship between the site and the surrounding zone was performed according to the characteristics of “sensitivity” and “vulnerability” of the affected area. Specifying different degrees of priority which the problems must be managed to a medium priority rating was found for short term interventions Some improvements in the hospital waste management were identified among these the preparation of guidelines applicable to current operational practices are the most reliable. Keywords: Environmental management system, Health structure, Eco management and audit scheme, Ecolabel european regulations, Initial environmental analysis, Metabolic radiotherapy unit. The guiding principles of prevention are ideal for Health Facilities [1M. Ahmad, M. Akhtar, I. Ahmad, and S.U. Jan, "Prescribing pattern of clinicians in private health facilities: an assessment for rational drug use", Value Health, vol. 16, no. 3, pp. A266-A266, 2013. [http://dx.doi.org/10.1016/j.jval.2013.03.1365] -3M. Panagioti, G. Richardson, N. Small, E. Murray, A. Rogers, A. Kennedy, S. Newman, and P. Bower, "Self-management support interventions to reduce health care utilisation without compromising outcomes: a systematic review and meta-analysis", BMC Health Serv. Res., vol. 14, p. 356, 2014. [http://dx.doi.org/10.1186/1472-6963-14-356] [PMID: 25164529] ], they have been recently extended to the environmental yield, highlighting the benefits attainable in terms of management reducing cost, resources recovery and waste decreasing [4A. Kato, and H. Komatsu, "Application of environmental evaluation by hospital users in health-care facility management", E.G. Arias, and M.D. Gross, Eds., In: 23rd Annual Conference of the Environmental Design Research Association on Equitable and Sustainable Habitats (EDRA 23), Univ. Colorado-Boulder, Boulder, CO, 1992.]. The adoption of an Environmental Management System (EMS) according to the International Standards ISO 14000 or EMAS (Eco Management and Audit Scheme) and Ecolabel European Regulations (EC Regulation n. 880/92) within Health Facilities, could represent an optimal solution to give a better quality of internal environmental performances and care [5M. Dettenkofer, K. Kümmerer, A. Schuster, M. Mühlich, M. Scherrer, and F.D. Daschner, "Environmental auditing in hospitals: approach and implementation in an university hospital", J. Hosp. Infect., vol. 36, no. 1, pp. 17-22, 1997. [http://dx.doi.org/10.1016/S0195-6701(97)90087-6] [PMID: 9172042] , 6M. Dettenkofer, K. Kuemmerer, A. Schuster, W. Mueller, M. Muehlich, M. S, and F.D. Daschner, "Environmental auditing in hospitals: First results in a university hospital", Environ. Manage., vol. 25, no. 1, pp. 105-113, 2000. Even if one of the objectives of the European Union is to drive any Member State to a severe care in the disposal of waste by all the facilities (including complex institutions), the reference to the EMS in the Health Facilities organization is not very common. In Italy, only few hospitals have produced management documents dealing with permanent upgrading environmental performances. On the contrary, many efforts to improve patient safety and quality of health precaution are done [7America’s Hospitals: Improving Quality and Safety, The Joint Commission’s Annual Report, 2014., 8K.T. Donahue, and J. Yen, "Joint Commission International", Jt. Comm. J. Qual. Improv., vol. 23, no. 1, pp. 71-71, 1997. [http://dx.doi.org/10.1016/S1070-3241(16)30300-5] [PMID: 9116889] ]. The Initial Environmental Analysis (IEA), which is mandatory for EMAS [9R. Merli, M. Preziosi, and I. Massa, "EMAS regulation in Italian clusters: investigating the involvement of local stakeholders", Sustainability, vol. 6, no. 7, pp. 4537-4557, 2014. [http://dx.doi.org/10.3390/su6074537] -11APAT (Agenzia per la protezione dell’ambiente e per i servizi tecnici), "Il Regolamento EMAS: linee guida per l’analisi ambientale iniziale nelle strutture ospedaliere", APAT-Manuali e Linee Guida 22/2003, . ], represents the starting point for the preparation of a comprehensive study of the environmental performances related to activities of the organization (EC Regulation 761/2001), allowing to verify the regulatory compliance, the product and services performances of the whole organization. To this note, the possibility to apply a basic approach to IEA within the Oncology Reference Center (ORC) of Aviano in Friuli Venezia Giulia Region (Italy) [12 Centro di referimento oncologico. Available from: http://www.cro.sanita.fvg.it/it/index.html.] is depicted, considering the main waste environmental impacts of this Health Facility. In this perspective, the work was focused on the IEA of medical solid and liquid waste products with potential hazard to human being and environment, considering all the pathways of the waste processes within the entire organization. As a first step, among the different sections of the Center, three Operational Units have been chosen: the Anticancer Drugs Unit (ADU), the Metabolic Radiotherapy Unit (MRU) and the Nuclear Medicine Unit (NMU). The choice was depended on the importance that units had in terms of therapeutic/diagnostic value and in terms of strategic role of their activities for the ORC management organization. The ORC of Aviano (Italy) is a well known Italian and European excellence with high quality standards in organization and performances [13A. De Paoli, C. Rossi, C. Scarabelli, M. De Cicco, G. Sartor, G. Boz, R. Innocente, and M.G. Trovo, "Intraoperative radiation therapy with patient transportation: Organizing aspects and clinical activity. Experience at the CRO-Aviano", Tumori, vol. 87, no. 4 (supply. 1), pp. S22-S22, 2001. ], a basic IEA implementation aimed to advance environmental standards management too. Main activities of the Center are radioactive and chemotherapy patient treatments, the nuclear diagnostic is also a key element of cancer cure in the hospital, furthermore drugs preparation is important both for the internal and external structures referring to the hospital. To set a basic IEA approach for the three operating units, hazardous and infectious medical waste produced/disposed both in solid and liquid state has been considered in relation to their potential impact to the environment. The work was first focused on radioactive internal wastes, than indirect environmental pollution has been considered by counting percentage of waste discharged out of the Center by patients, as carriers of radioactivity to the place of coming at regional and national level. The conclusions of the work led to underline a general optimal practice in waste management for the Center, suggesting the introduction of specific guidelines for each Activity/Unit and indicating potential areas of improvement and further development. Finally, the proposal for an improvement in environmental management was the actual undertaking to reduce the amount of medical waste produced/disposed, as well as the introduction of other systematic management controls was planned. Summary of the four phases of the “Deming Cycle”. The Standards for the Environmental Management System (EMS) aim to promote organization and rationalization of the environmental management procedures within a company, independently of the location site and the complexity of the production process. It is well known that the most popular standards are ISO 14001 [14 ISO 14000 - Environmental management. Available from: http://www.iso.org/iso/iso14000.] and EMAS [15 Eco-Management and Audit Scheme (EMAS). Available from: http://ec.europa.eu/environment/emas/index_en.htm.] both targeting to the continuous improvement of the environmental performances. The most important phases of their implementation are: the initial environmental review, the choice of an environmental policy, the improvement of environmental planning, its performing and operation by controls and corrective actions, finally the review by management team is forecast. These standards are voluntary without limits or operational constraints; the final target is to obtain public credit in considering environmental impacts of the organization and, over all, a better environmental management. As a basic scheme, the requests of ISO 14001 standard are organized into the four “Deming Cycle” (Plan, Do, Check, Act) (Fig. 1 ) stages, which define the path to reach the designed improvement of the environmental management, the EMAS standard is developed by similar steps . The Initial Environmental Analysis can be described as a diagnosis that identifies the relationships between the assets of a “site” and the surrounding environment, considering legislative, socio-economic and trading framework in which the company is included. General overview of the site (area where the business takes place). Preliminary analysis of the asset and the production processes, identifying factors of environmental impact. Environmental impact of the processes and the activities of the productive site. Methodology for the analysis of impact factors. Sum-up and parameterization of the available informations. Evaluation of the sensitivity factors. Verify compliances and identify priorities for continuous improvement. Each deficiency is detected both in administrative and formal way, critical areas of vulnerability within the territory are identified, the environmental efficiency in the production processes is highlighted, the precision of the structured organization model of environmental management is underlined by single issues and deficiencies, the level of specific training of staff are established. Data collected can be further extended for the identification of the general costs for environmental protection of the organization, with particular focus on technologies, products, raw materials, customers and suppliers. This can be useful for a comparative analysis of the environmental performance of other similar activities. Once these steps are completed, a final report is written, which will be the actual representation of the environmental situation of the considered site, so the analysis of each single impact factor can be subsequently developed. When the collection of data with other relevant information is concluded, an important step regarding SUMMARY and PARAMETRIZATION of the available informations is reached: by the use of algorithms applied to standard schemes of evaluation, the semi-quantitative descriptors can be obtained. Regulatory compliance (application of relevant laws and regulations related to the environment). Relevance (essential feature of the environmental impact factor of a site that describes the potential risk-danger of causing a negative consequence on the environmental components, or indirectly on productive activities of the site, considering the vulnerability and specific sensitivity of the site area). Efficiency (capacity to manage the various environmental issues also in function of their relevance). Specific sensitivity of the territory. To measure these indicators, functions of interpretation, quantifying and communication are established within a “four level” different score, that vary from “1” (best situation) to “4” (worse situation). The “0” level is bound to the situations in which the assessment procedure is “unappliable”, as well as in which the specific impact factor does not exist. After conclusion of the production framework stages and assessment of environmental impact factors, the procedure goes on deepening the relationship between the site and the surrounding area, characterizing and analyzing actions and factors that upset the individual environmental components. This is to identify the corrective and crucial actions, in order to ensure regulatory compliance and to set the engagements for continuous improvement of the environmental performance of the site. 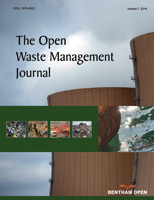 In the Oncology Reference Center (ORC) of Aviano Environmental Management System study, a semi-quantitative assessments for each environmental impact factor in terms of level of “compliance”, “relevance”, “efficiency” and “sensitivity”, have been performed, in this paper the only basics of waste impact analysis are reported. Map view of the area of the Center. Anticancer Drugs Unit - ADU (Activities of Section Operating Complex Structure in Pharmacy). Nuclear Medicine Unit (Section Operating Complex Structures in Nuclear Medicine). Metabolic Radiotherapy (Activities of the Section Operating Complex Structure in Radiation Oncology). Analysis of the topic “medical wastes” both solid and liquid with potential hazard, as a specific environmental concern within the Center. Identification of environmental performances starting from legislative/regulatory situation bound to the optimisation of the internal management. In Anticancer Drugs Unit section (Fig. 3 ), the drugs arrive in an open space “in- patient area” in packaged pieces and are delivered to the Storage Drugs area (monthly supply) for the accommodation on shelving. General plan of the Center. Hazardous substances are carried out in the warehouse, a sort of “Preparatory Office of pharmacy and storage solutions ADU” (placed on basement area) for the preparatory operations to the stages of processing in the Unit Anticancer Drugs at the first floor. The large volume of non-hazardous substances is transported directly to the first floor in the room “Deposit drugs” in front of the local “Preparing chemotherapy” ADU, where the drugs are processed on the basis of a pathway that is customized to each patient's data. The wastes from drug processing/preparation coming daily from the ADU are hazardous medical waste and must be collected in rigid polyethylene containers, labelled as toxic and harmful product and with self-sealing lid. Each container is then introduced in a larger 50 litres yellow one, stored temporarily and at the end of the closing and identification, encoded (with other waste of the whole ORC structure) before the allocation in the proper outdoor area (thePitch Ecological Hospital area, as Italian regulation requires). According to the instructions on the European list, Annex D of Part IV of D.Lgs. 152/2006 [17D.Lgs. 3-4-2006 n. 152, "Norme in materia ambientale", modificato dal D.Lgs. 16-1-2008 n. 4: “Ulteriori disposizioni correttive ed integrative del D.Lgs. 3 aprile 2006, n. 152, recante norme in materia ambientale”. ], these wastes are identified within the European Waste Catalogue (EWC) 18.01.08* (cytotoxic and cytostatic medicines in the health sector or related research activities). In addition, some filters contaminated by hazardous substance are collected and disposed with the identification code EWC 15.02.02* in similar way. 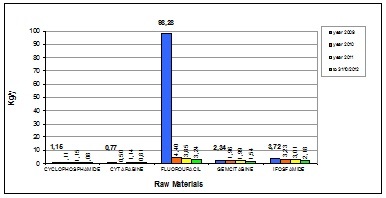 From the data analysis of the amounts of drugs used in the ADU during the three years 2009-2012, a characteristic description of raw materials drugs frequently used was found (Fig. 4 ). ADU - Quantities of raw materials drugs used in the years 2009-2012. The high quantity of Fluorouracil in 2009 is the result of actual prescribed doses, the application cycles, and/or the different types of therapies applied to patients. Considering the identification codes, the types of incoming materials from the local “Preparation chemotherapy” U.A.D. were also carried out, as shown in the following graphs (Figs. 5 and 6 ). ADU Waste produced in the years 2009-2012 (EWC 18.01.08*). ADU - Waste produced in the years 2009-2012 (EWC 15.02.02*). Higher values rising in the first two years (2009-2010) than in other years (2011-2012) are to be considered as a first good result in developing a active management of waste. Starting from this collection of data with other relevant information, a standardized method to improve waste management was searched and found in the IEA basic application: operations of SUMMARY and PARAMETRIZATION have assisted the development of methods of analysis, regarding regulatory compliance, relevance and efficiency (only main results of the evaluation are here reported for brevity). Data processing and assessment showed that ADU have reached a relevant and complete regulatory compliance, as required by ordinary European laws and environmental regulations. Because of this whole compliance, the Level 1, which is the highest in the range [0-4], has been conferred in the IEA analysis. The value representing the relevance (Lr) was obtained considering and comparing the total annual quantity of waste products (1), the waste similar to municipal waste (2), the hazardous waste (3) and pollutants present into them (4). This global observation led to highlight the factor “special waste” describing a potential risk of causing adverse effects on other environmental components, considering the specific sensitivity and vulnerability of the area. The analysis also brought to a value for the relevance level (Lr) assumed equal to 2.25, that was the average of the four values assigned to the items (1-4), as specified above [16M. Casciani, A. Del Sorbo, and M. Dubini, "G.E. Galotti U", In: I.P. Servizi, Ed., Manuali per l’Ecogestione dell’Impresa – Metodologie per l’Analisi Ambientale Iniziale. Italian: Milano, Milan.]. The evaluation of the efficiency (Le) was carried out based on information about the use of “clean technologies” and the best available technologies (BAT), on the formalization of performances about, roles and responsibilities related to technical and administrative management of waste, presence of Maintenance Plans, inclusion in the company budget cost of the waste management, etc. Using a particular algorithm, a value of 2 was obtained for the level of efficiency applied by the ORC Health Structure in managing the various environmental issues, also considering their relevance. The characteristics of “sensitivity” and “vulnerability” of the area affected by the impact “solid waste”, allowed to identify the priorities for actions to be taken to mitigate the direct and indirect environmental effects. In order to set a sensitivity level (Ls), factors of environmental sensitivity, such as biotic components (flora and fauna) and protected areas (parks and reserves) and the existence of areas that use water for irrigation of crops or livestock, were considered. It was also confirmed that no relevant protests or signs of impatience about the problem of hospital solid waste were highlighted by the population or authorities. Finally, a sensitivity factor value of 2 was assigned corresponding to the number of positive responses given from an evaluation board [15 Eco-Management and Audit Scheme (EMAS). Available from: http://ec.europa.eu/environment/emas/index_en.htm.]. The basic algorithm for the calculation of the priorities of improvements, considering the set period of time, was applied according to the above remembered formula: Lp = Lr*Le*Ls. The result was a value of 9 revealing a “MID/LOW” priority level, with improvement actions to be carried out on the short/medium time. In the following, the summary table Table 1 of priorities is reported visualizing all environmental impact factors. As already underlined above, only the “waste” impact factor within the ADU - local called “Preparing for Chemotherapy” has been considered because selected as the most important in the IEA basic application. Summary of priority table for local “Preparing for Chemotherapy”. Such a final summary sheet is a mean to start a discussion within the responsible staff of the various activities,to verify by the administration the consistency of the IEA and to set the environmental policy, as well as the operational plans with improving actions to be taken. In this part of the case study, the need to reduce the quantities of hazardous sanitary chemical waste produced in the local “Preparation chemotherapy” highlighted and solutions were supposed. For example, having already provided for the replacement of the bottles/glass ampoules containing the parent drug with the bottles/vials plastic, it was suggested the introduction of specific guidelines in waste management for each operational phase of the local, in accordance with the operational needs of Healthcare Management and General Management Structure of ORC. To introduce a registration schedule of medical waste produced during the “Preparing chemotherapy” on-site by the ADU, rather than during the delivery to the waste treatment plant; to separate container weighing of waste produced during the “Preparing chemotherapy” by the ADU (mainly consisting of sharps and pungent ampoules/vials that contained the drug), before the temporary storage in the room located on the Ground basement of the “lock-patients,” with the other waste of the whole ORC structure; to separate container weighing of waste produced in the preparation of cytostatic-cytotoxic therapies (70% in day hospital and outpatient, 30% in the operating departments) mainly consisting of gauze, tubing, fittings, absorbent drapes, Personal Protective Equipment, etc. For Nuclear Medicine and Metabolic Radiotherapy Unit, a similar IEA basic application has been arranged with a description of the procedures of radioactive waste in the solid and liquid (excreted patients) state, considering the quantity produced/disposed of hazardous and infectious waste during all the medical processes. In Nuclear Medicine department of ORC, the use of radioactive substances for diagnosis and therapeutic rules, takes place on an outpatient basis, otherwise in Metabolic Radiotherapy, drugs are given in inpatient protected form. All radioactive substances used in the two departments are characterized by half-lives shorter than 75 days. In the department of Nuclear Medicine, Fluoride-18 (T/2 = 1.8 hours) and Technetium 99m (T/2 = 6 hours) in liquid form for intravenous administration are mainly used. In the department of Metabolic Radiotherapy, only Iodine-131 (T/2 = 8 days) in solid form (capsules) for oral administration is used. In the department of Nuclear Medicine, the prescription-processing phase involves fractionation of the drug, for the personalized dose and administration (approximately 93% in outpatients and 7% in-patient departments). In the Metabolic Radiotherapy department, the radiopharmaceuticals are in capsule form ready for patients administration. Both the activities of Nuclear Medicine and Metabolic Radiotherapy lead to the production of radioactive wastes in solid and liquid form. The waste generated by Nuclear Medicine outpatient consists of solid waste coming from fractionation and administration, solid waste from diagnostic investigations and waiting patients. The waste regarding the inpatient includes solid waste due to the hospitalization of the patient and liquid waste excreted by patients. Likewise, the waste generated in Metabolic Radiotherapy division by admitted patients include solid waste due to the hospitalization and excreted liquids. Raw materials radiopharmaceuticals used in the 2009-2011 period. Data and information collected from the two departments of Nuclear Medicine and Metabolic Radiotherapy showed that the main quantities of raw materials used are: Fluorine-18 for medical use and DRYTEC (Molibden 99) Tc-99m generator in a liquid form, Iodine 131 in solid form. The graph below (Fig. 7 ) shows the data presentation of the quantities of radiopharmaceuticals entered in the hospital for the period 2009-2011. The solid waste of Nuclear Medicine and Metabolic Radiotherapy are encoded with the EWC 18.01.03* (infection medical waste at risk). Figs. (8 and 9 ) report the quantity of solid waste (put in cartoons and plastic containers) coming from the two departments in the years 2009-2011. Solid wastes from the Department of Nuclear Medicine in the period 2009-2011. Solid wastes from the Department of Metabolic Radiotherapy (2009-2011). Liquid waste collected in the tanks of decay in the period 2009-2011. A slight increase can be noted in the case of Nuclear Medicine, a mild reduction can be noted in the Metabolic Radiotherapy. The medical waste in the liquid form (liquid excreta) produced by outpatients and inpatients in the department of Metabolic Radiotherapy, are handled and controlled in 5 tanks for radioactivity decay (Fig. 10 ). A minor part of liquid waste is discharged in sewerage, as well as carried out in regional and national residences of patients (yearly about 57% of patients are coming from the Region of Friuli Venezia Giulia compared to other Italian regions and foreign countries). As above, starting from this collection of data with other relevant information the IEA basic application led to the operations of SUMMARY and PARAMETRIZATION, allowing the development of the analysis of regulatory compliance, relevance and efficiency (also in this case only main results of the analysis are here reported for brevity). From the data and information gathered on regulatory compliance, it was found that the Operating Unit of Nuclear Medicine and Metabolic Radiotherapy applied all the relevant and comprehensive laws and regulations relating to the environment, therefore, for regulatory compliance is assigned the value 1. For the value representing the relevance (Lr), the total quantity of waste produced yearly, as well as the hazardous waste and pollutants present, have been considered and compared each other. In this situation the importance of the factor “radioactive waste”, describing the potential risk of causing an adverse effect on other environmental components was highlighted, thinking about the specific vulnerability and sensitivity of the area.. Following the method mentioned above, a value of Lr = 2.6 was obtained from the mean of the four values assigned to the items specified. The evaluation of the efficiency (Le) was accomplished, taking in particular attention to the formalization of tasks, roles and responsibilities in relation to the technical and administrative management of waste, maintenance plans and the budgetary cost of waste management companies. The value Le = 2.5 of efficiency of this Health Structure was assigned in this analysis. Assessing relationships between the site and the surrounding area, an estimation of the “sensitivity” and “vulnerability” of the case study was reached, intended for the specific impacts of the Operating Unit of Nuclear Medicine and Metabolic Radiotherapy. The factors of environmental sensitivity near the area were also check examining the biota (flora and fauna), protected areas (parks and reserves) and the presence of regions that use the water for irrigation of crops or livestock. None protests or signs of impatience about the problem of waste by the population or legal authorities were confirmed, so a sensitivity factor value of Ls= 2 was assigned Table 2. Summary of priority table for Nuclear Medicine and Radiation Metabolic Therapy. According to the formula: Lp = Lr*Le*Ls the result of the analysis leads to a value of 13 indicating a MEDIUM priority actions to be carried out on the short time. Indeed, the final summary sheet was revealing potential environmental improvements and useful to start a discussion with the staff responsible for the various activities, in order to verify the purpose to develop and decide a good environmental policy with an operational plan of action to be succeded. to prepare a registry for provisions and requirements of Single Unit Operation/Activity with specific procedures; to improve working practices within the functional areas of collection, identifying waste by types and quantities with specific guidelines for the correct management; to stimulate and encourage the collection of homogeneous flows of waste; to reduce the quantity of liquid waste (excreted) with the installation of mixers and dosing devices for water of toilets; to built new greater storage tanks to prevent any problems of malfunctioning and for more effective decay checking of the radioactive compounds. The Standards for EMS are applied to promote reorganization and rationalization of the environmental management within an organisation. The management of environmental impacts on a hospital is undoubtedly more difficult than in other situations. The basic approach applied to the IEA of the ORC-Aviano case study, have revealed some complexities in the waste management that has been highlighted by simple environmental analysis. By the way of this basic analysis a lot of suggestions were emphasised and one of them in particular can be underline: the introduction of specific guidelines for each Unit Operation/Activity with specific related inventories, prepared according to the management needs of the health facility. This will be feasible thanks to a joint effort of the various experts within and outside the organisation in order to succeed the difficulty to obtain the necessary optimization in so complex field. This confirms the effectiveness of a work “step by step” starting from a preliminary investigation towards a more detailed one. Approaching the problem from the elementary activities and functional areas, would allow a more gradual and efficient approach to the topics discussed, which would minimize the efforts to reach optimization of whole environmental concern activities within health structure.. This case study reported the analysis of one Operation Unit and two Activities (ADU, Metabolic Radiotherapy and Nuclear Medicine Unit) within an excellent structure as ORC-Aviano, nevertheless after the basic IEA performed, technical/executive operations with the aim of reducing the amount of waste produced/disposed and the introduction of systematic management controls were usefully suggested as recommended improvements. For example the installation of mixers in medical applications and water dispensers in the toilets have been recommended in order to reduce the amount of liquid waste arising from discharges of the bathrooms of the patients. This first statement is bound to more complex efforts, that can be the verification on the decay of the radioactive compounds and the functioning/monitoring of the storage tanks. Considering the only topic of medical waste, applied to one Operation Unit and two Activities (ADU, Metabolic Radiotherapy and Nuclear Medicine Unit), the work of setting EMS has provide the healthcare facility managers a wider view of the environmental problems. The optimization of the waste management by the study of the external environment impacts and the arranging of internal improving management actions, can bring certain advantages in terms of resources rationalization and correct choices in terms of planning and business management. 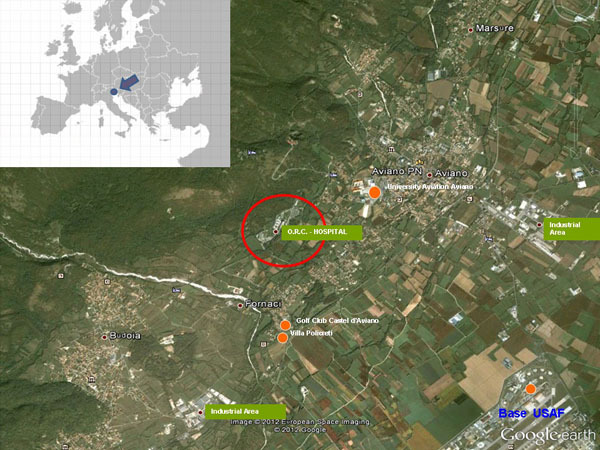 This work has also aimed to provide an overview of some problems arising during the initial environmental analysis of a complex organization as ORC of Aviano is; with a working methodology adapted from time to time to the specific case to be examined, the application of European and International Regulations related to EMS has been tried with mild success. An encouraging conclusion has to be drawn: despite obvious differences from traditional methods applied in industrial sites, also in health facilities a different and up-to-date approach to EMS is possible and useful. The present work has then shown a methodology for basic implementation of the Initial Environmental Analysis, as a first step towards an arranging of EMS in hospitals. The final objective of the EMAS registration for a hospital such as the ORC-Aviano, could represent the hope to combine the quality of services with environmental care in similar complex health organizations. The authors are grateful to the whole ORC-Aviano structure for the help and assistance, to the Department of Chemistry, Physics and Environment of the University of Udine for the support. Thanks to Prof. Meni Visintini for arranging pictures. M. Ahmad, M. Akhtar, I. Ahmad, and S.U. Jan, "Prescribing pattern of clinicians in private health facilities: an assessment for rational drug use", Value Health, vol. 16, no. 3, pp. A266-A266, 2013. C.E. van Dijk, B. Venema, J.D. de Jong, and D.H. de Bakker, "Market competition and price of disease management programmes: an observational study", BMC Health Serv. Res., vol. 14, p. 510, 2014. M. Panagioti, G. Richardson, N. Small, E. Murray, A. Rogers, A. Kennedy, S. Newman, and P. Bower, "Self-management support interventions to reduce health care utilisation without compromising outcomes: a systematic review and meta-analysis", BMC Health Serv. Res., vol. 14, p. 356, 2014. A. Kato, and H. Komatsu, "Application of environmental evaluation by hospital users in health-care facility management", E.G. Arias, and M.D. Gross, Eds., In: 23rd Annual Conference of the Environmental Design Research Association on Equitable and Sustainable Habitats (EDRA 23), Univ. Colorado-Boulder, Boulder, CO, 1992. M. Dettenkofer, K. Kümmerer, A. Schuster, M. Mühlich, M. Scherrer, and F.D. Daschner, "Environmental auditing in hospitals: approach and implementation in an university hospital", J. Hosp. Infect., vol. 36, no. 1, pp. 17-22, 1997. M. Dettenkofer, K. Kuemmerer, A. Schuster, W. Mueller, M. Muehlich, M. S, and F.D. Daschner, "Environmental auditing in hospitals: First results in a university hospital", Environ. Manage., vol. 25, no. 1, pp. 105-113, 2000. America’s Hospitals: Improving Quality and Safety, The Joint Commission’s Annual Report, 2014. K.T. Donahue, and J. Yen, "Joint Commission International", Jt. Comm. J. Qual. Improv., vol. 23, no. 1, pp. 71-71, 1997. R. Merli, M. Preziosi, and I. Massa, "EMAS regulation in Italian clusters: investigating the involvement of local stakeholders", Sustainability, vol. 6, no. 7, pp. 4537-4557, 2014. F. Testa, F. Rizzi, T. Daddi, N.M. Gusmerotti, M. Frey, and F. Iraldo, "EMAS and ISO 14001: the differences in effectively improving environmental performance", J. Clean. Prod., vol. 68, pp. 165-173, 2014. APAT (Agenzia per la protezione dell’ambiente e per i servizi tecnici), "Il Regolamento EMAS: linee guida per l’analisi ambientale iniziale nelle strutture ospedaliere", APAT-Manuali e Linee Guida 22/2003, . Centro di referimento oncologico. Available from: http://www.cro.sanita.fvg.it/it/index.html. A. De Paoli, C. Rossi, C. Scarabelli, M. De Cicco, G. Sartor, G. Boz, R. Innocente, and M.G. Trovo, "Intraoperative radiation therapy with patient transportation: Organizing aspects and clinical activity. Experience at the CRO-Aviano", Tumori, vol. 87, no. 4 (supply. 1), pp. S22-S22, 2001. ISO 14000 - Environmental management. Available from: http://www.iso.org/iso/iso14000. Eco-Management and Audit Scheme (EMAS). Available from: http://ec.europa.eu/environment/emas/index_en.htm. M. Casciani, A. Del Sorbo, and M. Dubini, "G.E. Galotti U", In: I.P. Servizi, Ed., Manuali per l’Ecogestione dell’Impresa – Metodologie per l’Analisi Ambientale Iniziale. Italian: Milano, Milan. D.Lgs. 3-4-2006 n. 152, "Norme in materia ambientale", modificato dal D.Lgs. 16-1-2008 n. 4: “Ulteriori disposizioni correttive ed integrative del D.Lgs. 3 aprile 2006, n. 152, recante norme in materia ambientale”.